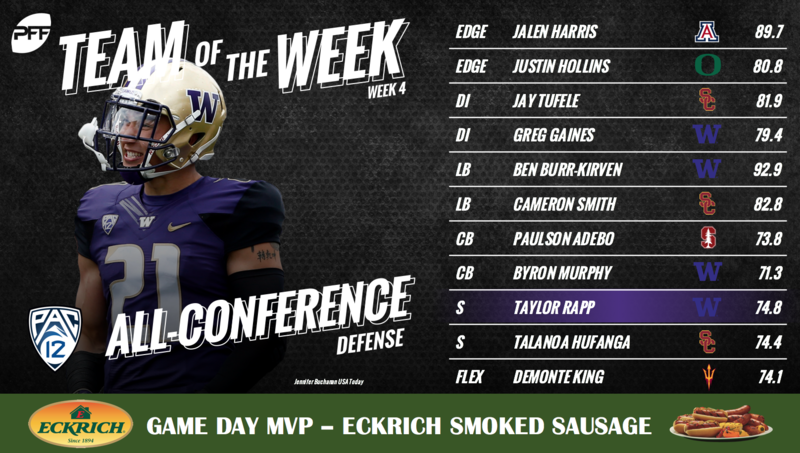 The Pac 12 makes up a considerable portion of our Top 25, most notably the Washington Huskies, who are also well represented in the Week 4 Pac 12 Team of the Week. Before we get to Week 5, take one last look at Week 4’s top individual performances. 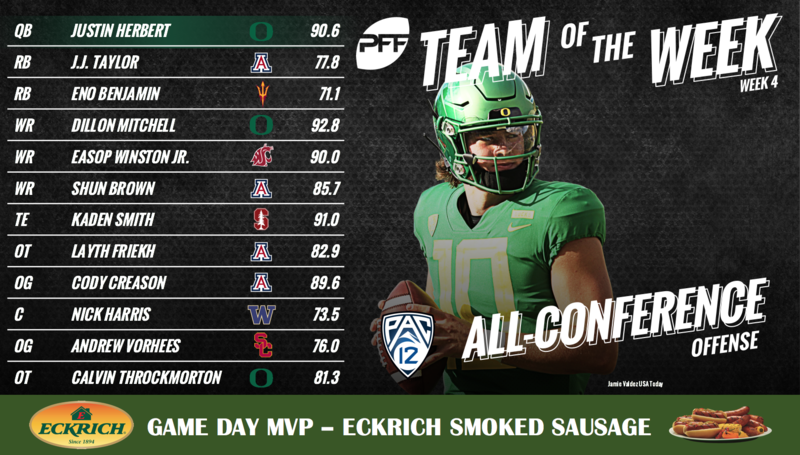 The Pac 12 Team of the Week is brought to you by Eckrich, the Official Smoked Sausage of the College Football Playoff.